FENNEK Grill | Stick together. Grill wherever. 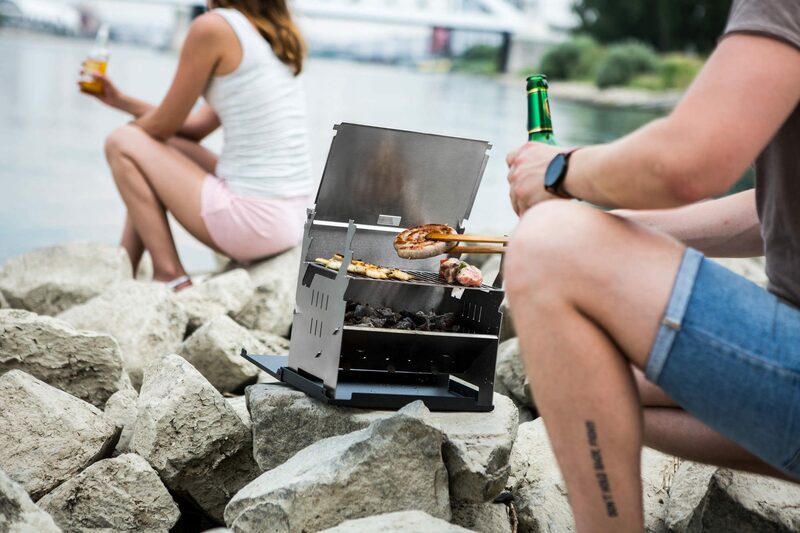 FENNEK is not simply a grill for the road – FENNEK is adventure and wilderness for the hand luggage! 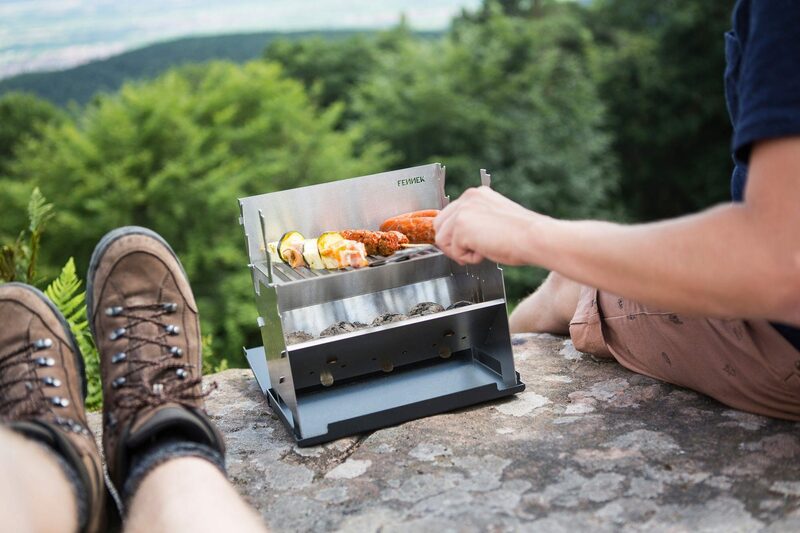 Whether during camping, trekking or relaxing on the balcony – thanks to its clever concept and its compact design, the full-fledged charcoal grill is ideally suited for mobile use. Made of high-quality stainless steel, FENNEK, as well as its name descendant dessert fox, adapts itself ideally to its environment and is therefore suitable as a long-time companion. Whether in the meadow, on a festival, while fishing or on the local terrace, he feels home everywhere. 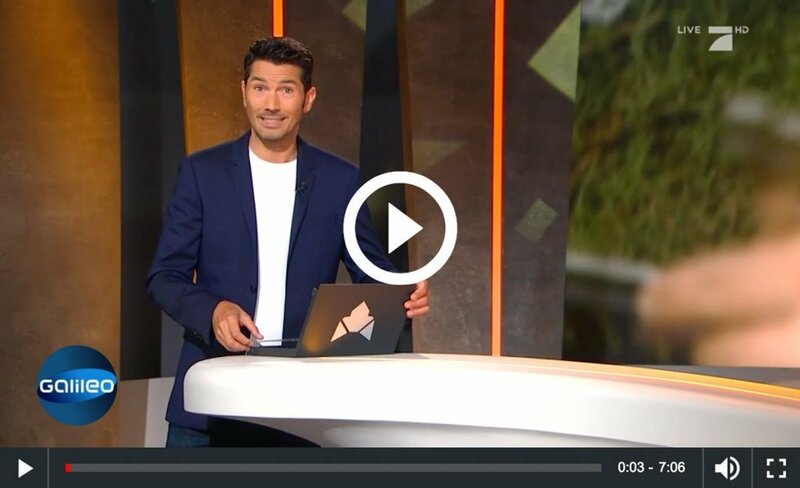 FENNEK has been tested by the very popular german TV show Galileo. It has completed the tests pretty easily and received a overall positive conclusion. FENNEK is ideally suited as a long-lasting mobile companion due to the use of different material thicknesses. 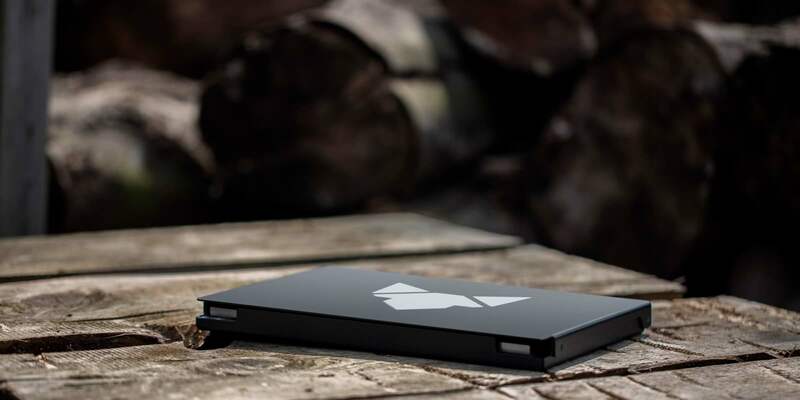 Packed in a powder-coated aluminum case, FENNEK has approximately the dimensions of a tablet or small laptop. FENNEK is ready for use pretty quickly. With the help of our instruction manual is very easy to build up. Thanks to its construction and the material used, it doesn’t take too long to get to operating temperature and allows grilling at a high level. There is more time for what really matters. So put your FENNEK in your backpack, get out into the nature, put your meat and vegetables on it and enjoy life. 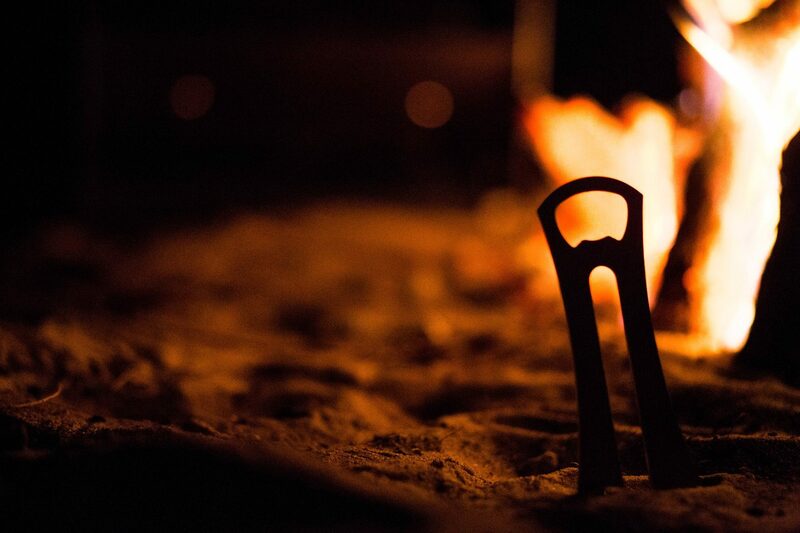 Ideally suited for cozy grilling with your partner or your best friend. If you have nobody to share your time with, it also grills for singles. Smart and clever – nothing is left to chance with FENNEK. Everything has its function, every hole and slot is exactly where it should be and thus fulfills its purpose within the elegant design. FENNEK is not just there, it fills a niche, which makes its application area diverse. Integrated ventilation slots, a combustion chamber under the grill grate and a lid functioning as a heat deflector provide an ideal grilling result. All of that so the sausage becomes beautifully brown and the meat remains tender. Crispy vegetables or gently melting cheese? No problem at all. The removable roof not only protects against rain and wind, it also allows for better heat development. This is done by reflecting the heat into the interior of the grill. No more excuses not to grill daily. In order to remain true to ourselves, even the handle is multifunctional. It is not only used to adapt the position of the grill grate, it also helps with cleaning and serves to open the well-earned beer. Well then cheers! Due to its powder coating, the aluminum case is extremely robust against external influences. This does not only help FENNEK to carry out its primary task. In addition to this, the case also serves as a base for the grill and can thus optimize the stability on uneven surfaces. In addition, the substrate is protected against heat and possible contamination. The lid of the case also folds up as a windshield. Nice isn't it? FENNEK is made of high quality stainless steel and there is a lot of that in it. The thickness of the material has been selected so the grill remains very robust and does not warp. It provides ideal grilling results even in years. In contrast to many other mobile grills, much less waste is getting produced. As long as you decide to use FENNEK for quite a while of course. Keep it, for the environment at least. Are you convinced of FENNEK? So get your own one right now!